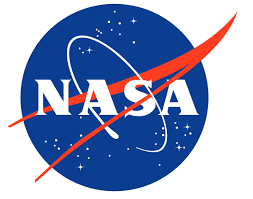 NASA has invited India to join their research on searching water on the Mars which is a very a matter of pride that Americans also know that Indian Scientist are also well equated with their knowledge and technology to work together on such a big project like this. So it is very much possible that incoming future US and India could jointly work together to explore the Mars and even Indian astronaut could join them to reach the planet to help them in their mission. It has become possible because recently India launched its Mangalyaan for Mars and after this whole world came to know about this and opened their eyes on ISRO's capabilities at undertaking low cost with high value interplanetary mission. 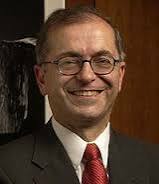 The Director of Jet Propulsion Laboratory, Charles Ealchi said that India and America could jointly explore the Mars and invited India to send astronauts to the planet. He spoke in an interview in which he further said that at NASA they are just beginning to plan for the next mission to the red planet for the next decade, which is from 2020 to 2030. They would also be conducting a meeting in Washington on possible collaborations for the next five to six missions to Mars and ISRO is also invited for that meeting. He also hopes that India would be attending the meeting. In fact NASA is looking for a collaborative exploratory mission, adding that India can be a full partner in the international endeavor for Mars exploration with its accomplishment on the Mars Orbital Mission for its exploring. The NASA is also planning for a human expedition on Mars and it would be considered as International endeavor for which NASA has invited international agencies to start thinking on how to send humans to Mars and other planets and in this area they need India to collaborate by considering India's potential and capability.